Twenty-eight-year-old, Lilly Allaire, receives a phone call telling her that Dax is dead. The cause of death is unknown. At the age of fourteen, best friends, Lilly and Dax, experience a traumatic incident. After the incident, Dax is institutionalized in a psychiatric hospital in a catatonic state. For Dax, his memory loss is a subconscious act of self-preservation, a blocking out of all memories. Lilly still suffers a blocked memory of that day and has frequent nightmares. After Dax’s funeral, Lilly decides to go back to Salmon Brook, her hometown, to find out the truth about the mysterious incident that destroyed Dax’s life. While searching for clues to the incident, Lilly has a chance meeting with a former high school classmate, Noah Hawthorne. Noah remembers Lilly as his high school secret crush and offers to help her. Together, they try to unravel the mysterious incident that plagues Lilly’s dreams and turns them into nightmares. They soon realize that their hometown has a deadly secret and both their lives are now in danger. However, Noah has a secret of his own that puts Lilly in harm’s way. A haunting tale of young love, mystery and murder. Anna and Garrett are ordinary teens growing up in a small farming community in Connecticut in 1960. One day they find themselves as suspects in the horrific killing of a young girl named Sarah Smith. Anna and Garrett happened upon the ravaged body of a young girl while hiking through their beloved and possibly haunted forest. They are more than witnesses to the crime scene as suspicion falls heavily on Garrett because he is considered different. Together, Anna and Garrett search for clues to find the killer as the ghosts of the past collide with the present evil. They both realize it will be up to them to fight the evil that has taken over their loved ones, their community, and their beloved forest, even if it means losing their own lives. On the day of her mother’s funeral, Megan Donnelly finds a mysterious package on her dresser wrapped in faded brown paper and twine. She has no idea where it came from or how it got there. Despite her grief, Megan finds herself drawn to the bundle of faded brown paper and twine. Inside the package, Megan finds a leather-bound journal that appears to be as old as the hills. Megan discovers that the journal is a cautionary tale about a strange girl named Delphi Altair. Delphi lives with her foster parents in an old Sea Captain’s Manor. 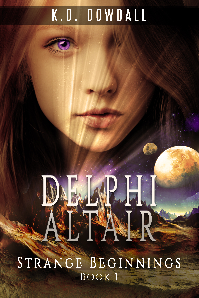 For the young girl, Delphi Altair, the situation at her foster parent’s home has gone from bad to worse as Delphi discovers dangerous alien creatures are trying to kidnap her or worse. 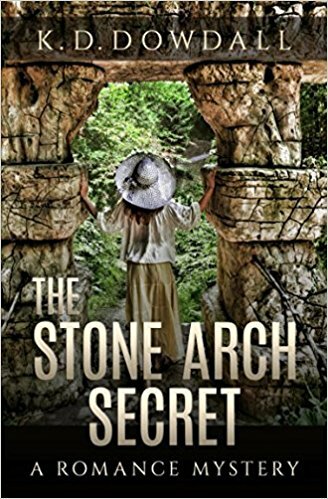 Donovan, a new student at her school, befriends Delphi and together with Nikkos, an Alien Watcher sent to protect Delphi, embark on a treacherous journey into the unknown. Megan, fascinated by the journal, comes to realize Delphi’s mysterious quest is more than a story, it is terrifyingly real and Megan is somehow involved. Megan’s life is about to change in ways she could never have imagined. Hello Dr. French, It is my good fortune to have found you on WordPress.com. I also believe that Stephan King’s, “On Writing: A Memoir of the Craft” is wonderful. I know it by heart, I think. It is also my pleasure to have met you. It is a wonderful book for writers. Hello Laine Anne, it is so good to hear from you and I am so happy that you will comment on different blogs still. I wish I had found you earlier too. Yet, as they say, better late than never! 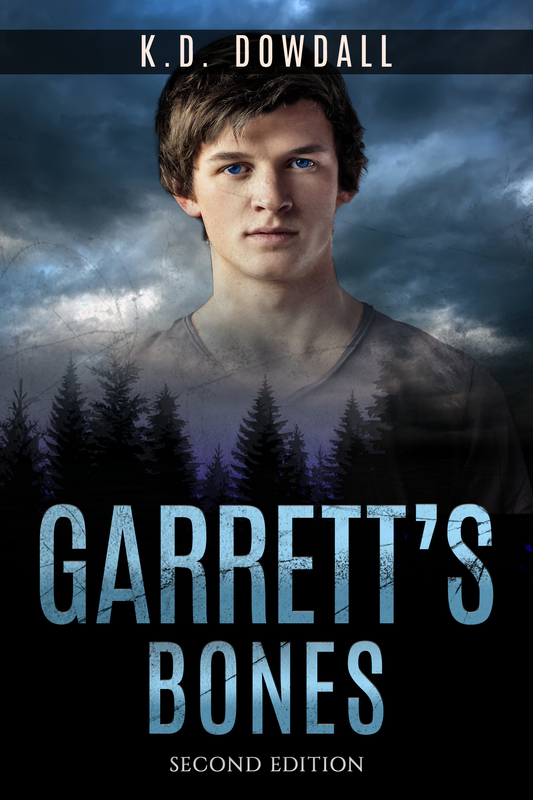 Yes, you can purchase my book, Garrett’s Bones on Amazon too by going to the book section of Amazon. I have no idea why it is not included with the ebook section. I really must say something to them about this problem. I thrilled that someone of your talent is interested in reading something I wrote. I am a beginner, so please take that into consideration. Oh Gosh, I feel so honored and scared at the same time. You know, I am just waiting to buy your book of poetry and your stories in book form as well. Would it be okay for be to sometimes reblog some of your stories that you have on your blog? You have some very interesting stories and poems here. Thanks for sharing them. Cheers. I just read chapter one of Garett’s Bones and I was mesmorized. I love the Spirit Pond and the descriptions you provided sounds like a great book. Thank you for your encouragement and friendship! Fantastic! I always thought I would write mystery novels, but I’m not cut out for it. My first foray into romance is just out, but not half as good as yours, although I do take pride in one aspect. Tell you about it one day! You are definitely a great writer. Congratulations!